I love afternoon tea and I don’t really need much of an excuse to have afternoon tea. 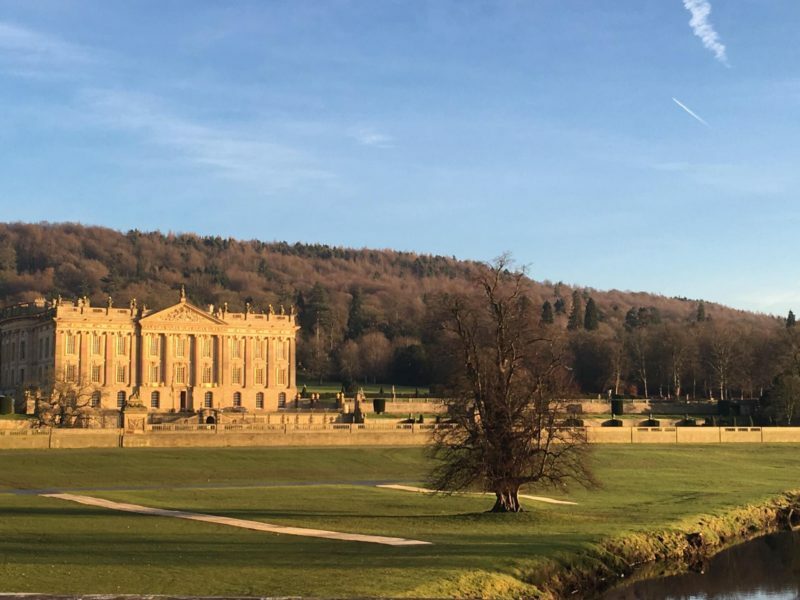 In December I took a day trip to Derbyshire to take a look at the Christmas decorations and have afternoon tea at Chatsworth House. Each year Chatsworth decorate the inside the house using a specific theme. This year it was all about the Nutcracker. The whole of the house was spectacularly decorated with many Christmas trees and Nutcrackers. 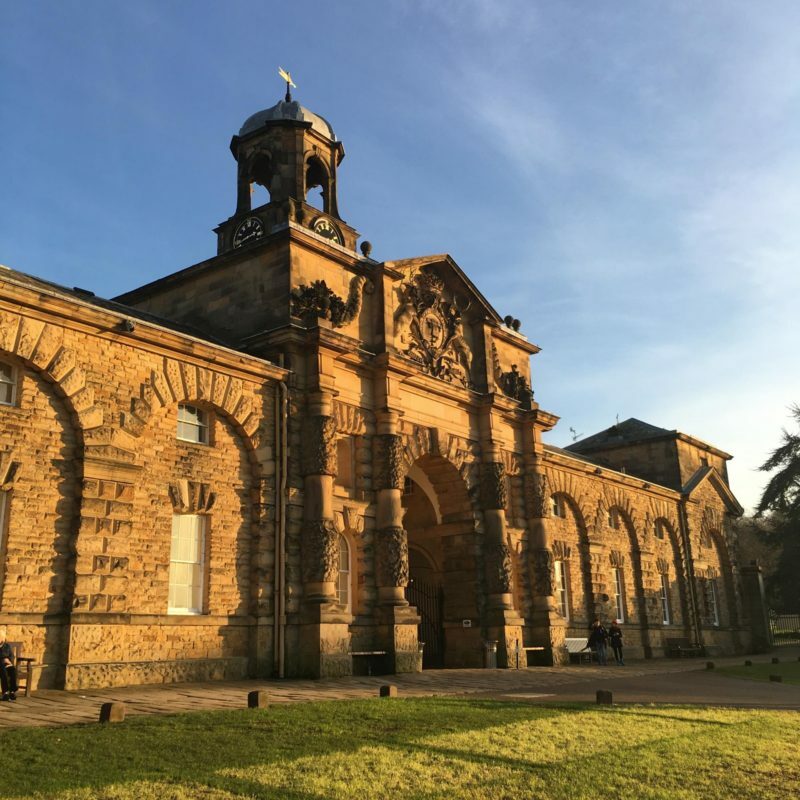 After touring the decorated house we went to the old stable block which has now been converted in to a cafe and gift shop. Our table was set for and and we were brought our pots of tea after making a choice from a number of teas that had been blended for Chatsworth House. Shortly after our afternoon tea arrived on a three tier cake stand. Everything looked so delicious and I couldn’t wait to tuck in. There were 4 finger sandwiches for each of us; 2 white bread and 2 brown bread. The fillings were plentiful and were ham & tomato chutney, smoked salmon & creme fraiche, cucumber & cream cheese and egg & cress mayonaise. All of them were delicious. There were also a savoury tart. The freshly baked fruit scone was very filling and was accompanied by clotted cream and a pot of strawberry jam. Our waitress although attentive did not make us feel rushed. 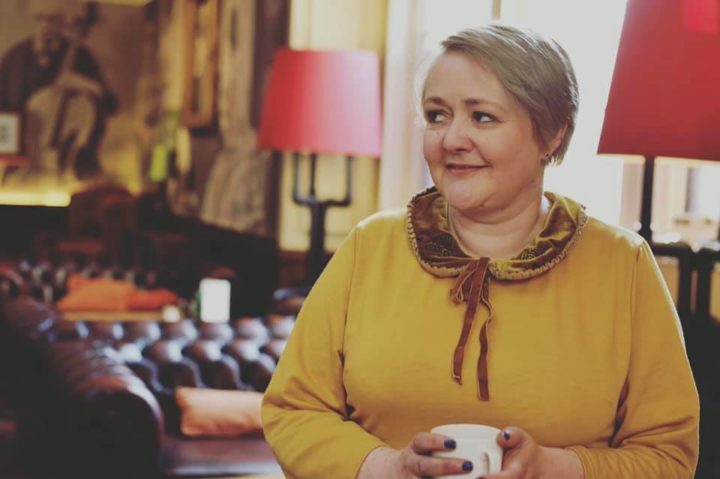 She happily topped the tea pots up with as much tea loose tea as we wanted. The in my opinion came the best part of the afternoon tea: the selection of deserts. We were served a citrus posset, lavender & dark chocolate éclair, a blackcurrant cheesecake and a banoffee pie. Out of this world! 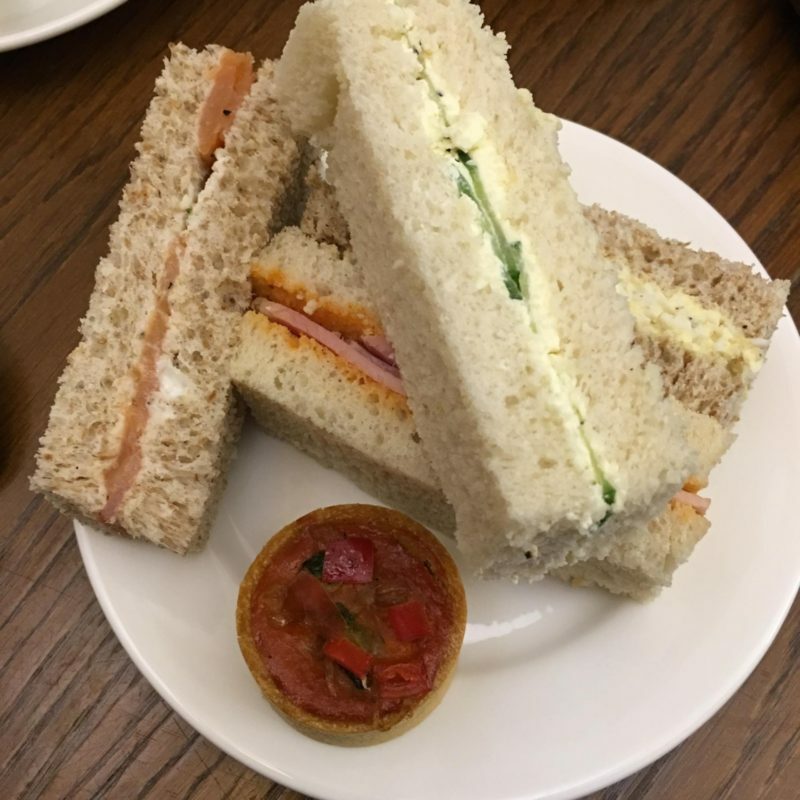 Overall, the afternoon tea at Chatsworth House was delicious and I would love to make a return visit if in the area again. I think my favourite was the citrus posset and would love to have a go at making one at home. This one is just so decadent. I could look at the pictures of the architecture and spread all day long…no joke. 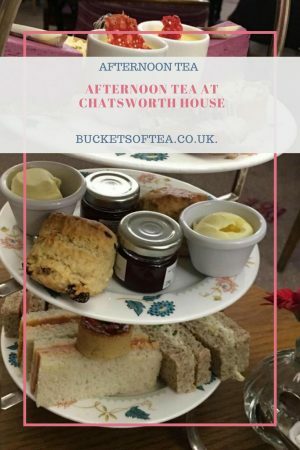 Wow what a lovely review with beautiful photos of a scrumptious afternoon tea,I have visited chatsworth but have not had the pleasure to eat there, but after seeing your review I will try,please could you let me know if you had to book this and how much it cost. Many thanks. Need to book. 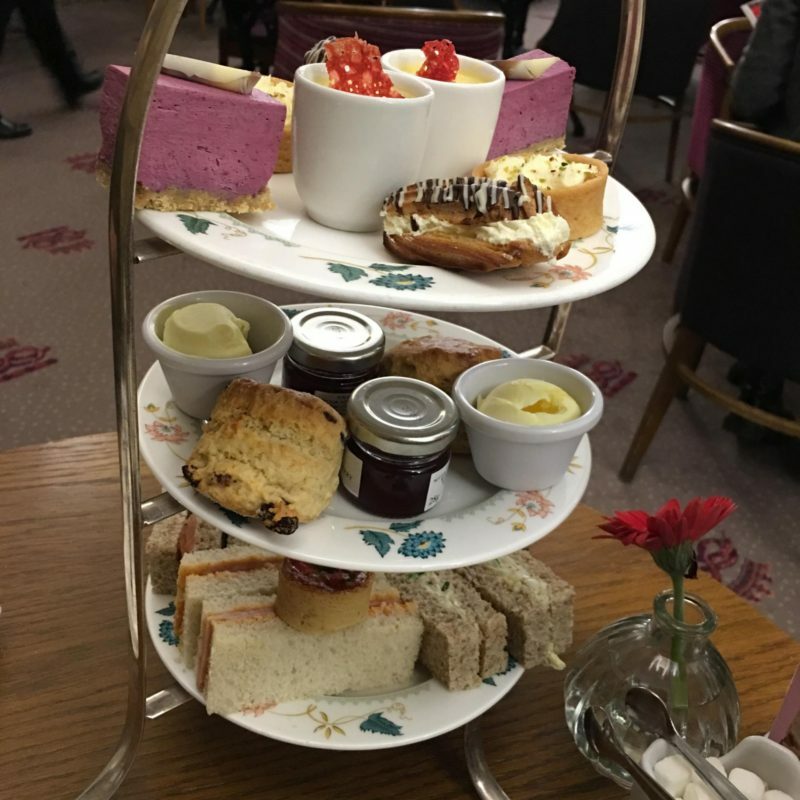 This is £20 pp but there is another afternoon tea at £35 pp which looks amazing! this looks lovely! 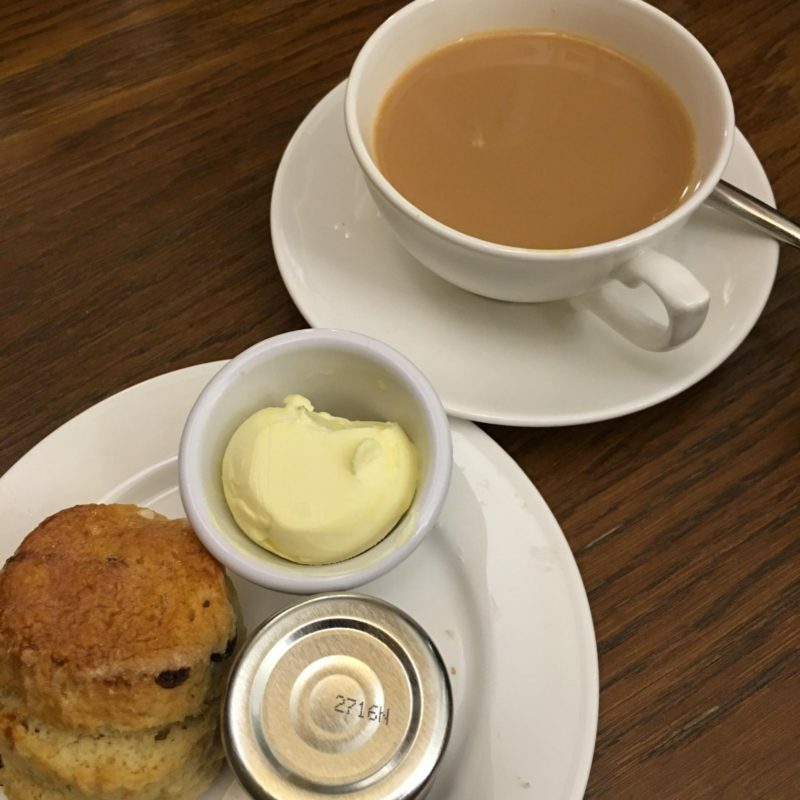 I love tea and this looks like so much fun 🙂 thanks for sharing! wish I lived in UK now! I am a BIG fan of Afternoon Tea. 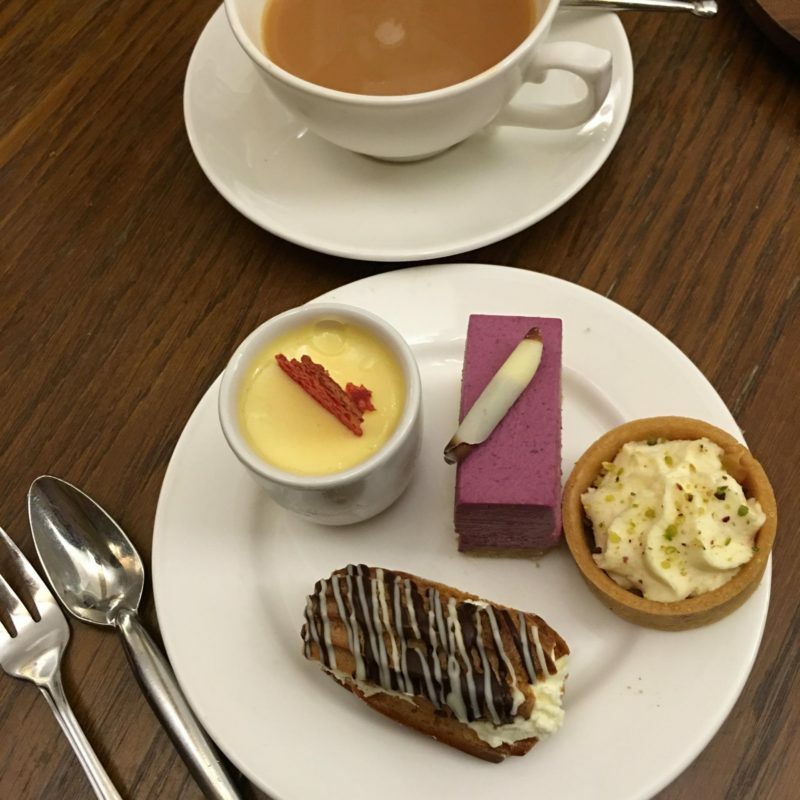 My friends laugh that I am always finding new places for Afternoon Tea but I have to admit that I have never been to Chatsworth House …. it looks amazing! Sounds like I need to visit Dubai! Oh that looks amazing and such a beautiful venue. I love afternoon tea, it looks AMAZING!